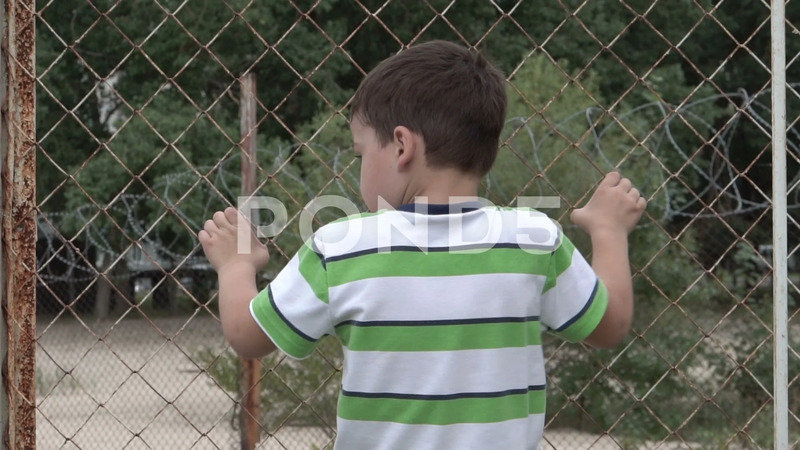 Description: A boy in a striped t-shirt stands at the fence. Wire mesh fencing. Young child. The border for . Burst of emotion. The view from the back. Summertime. The violation of the rights of freedom.